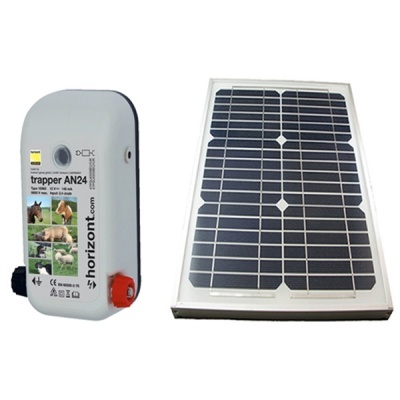 Trapper AN24 SOLAR Electric Fencing Energiser. This Energiser gives you the best of both worlds, It can be clipped on to a 12v battery and used to power a fence in the middle of a field. 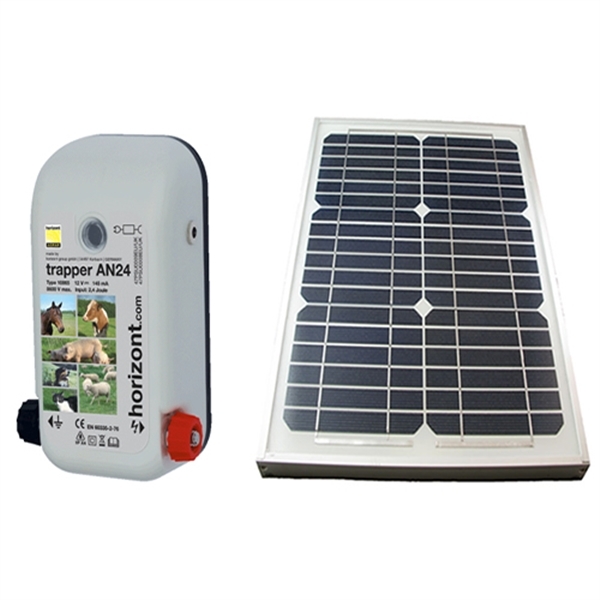 Plug in the provided adapter and the AN24 energiser is a mains powered unit , no more batteries to worry about. Max fence length; 12 km. Realistic length; 6 km. The Trapper AN24 will power up to 6 nets. Of couse with the AN24 energiser you have also got the abiltity to run the unit directly from the 240v mains should your situation make that possible.